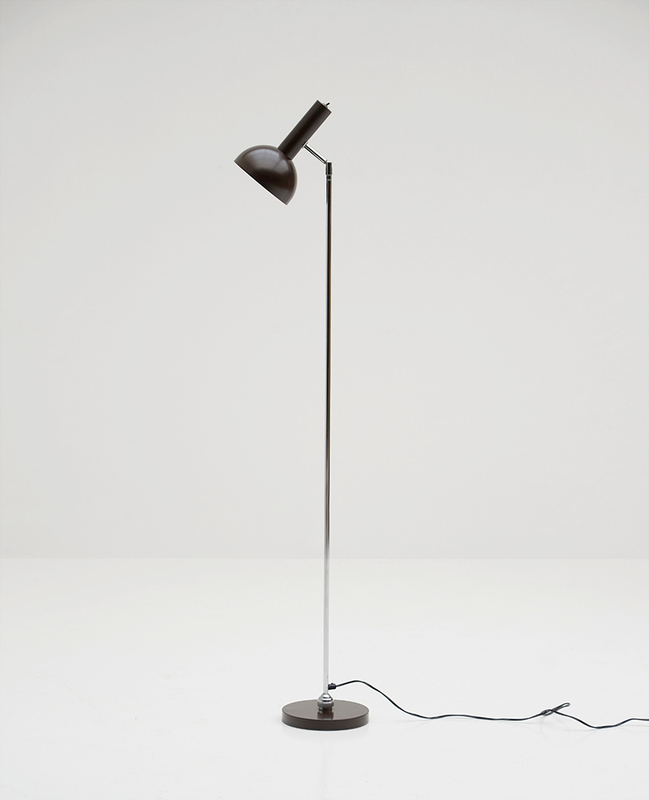 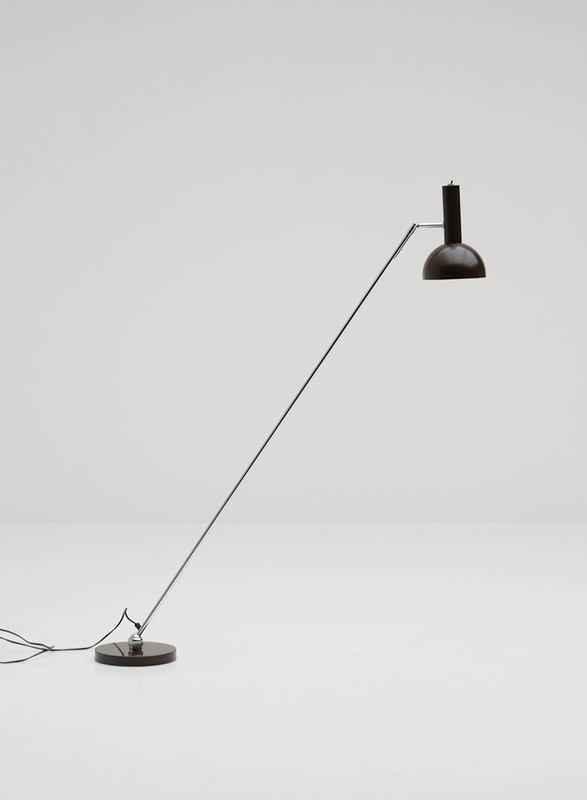 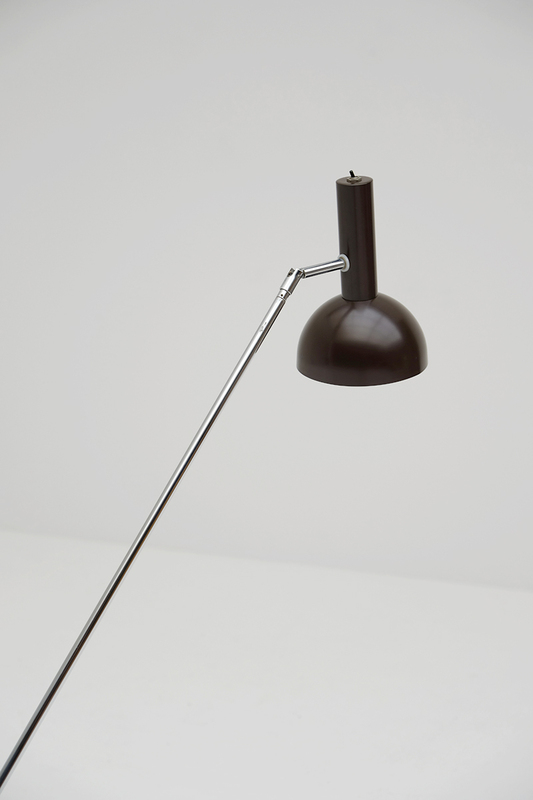 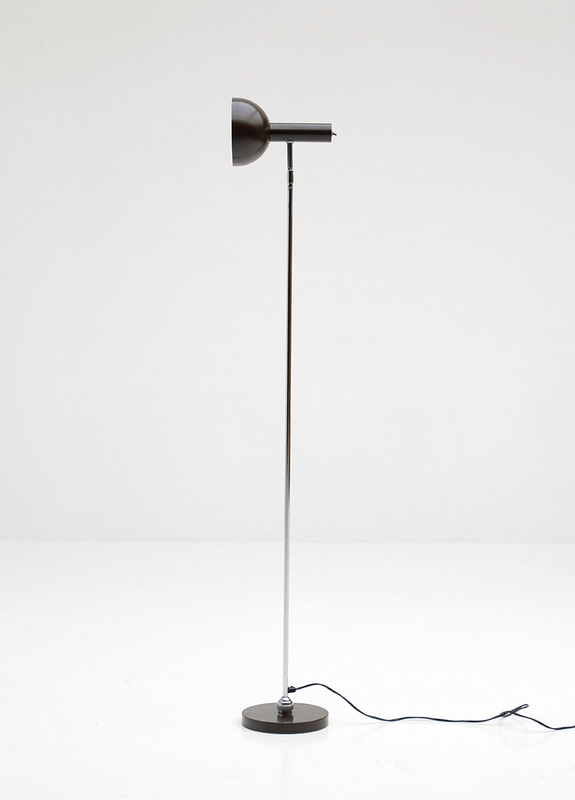 Decorative seventies floorlamp with a dark brown lacquered shade and chrome base. 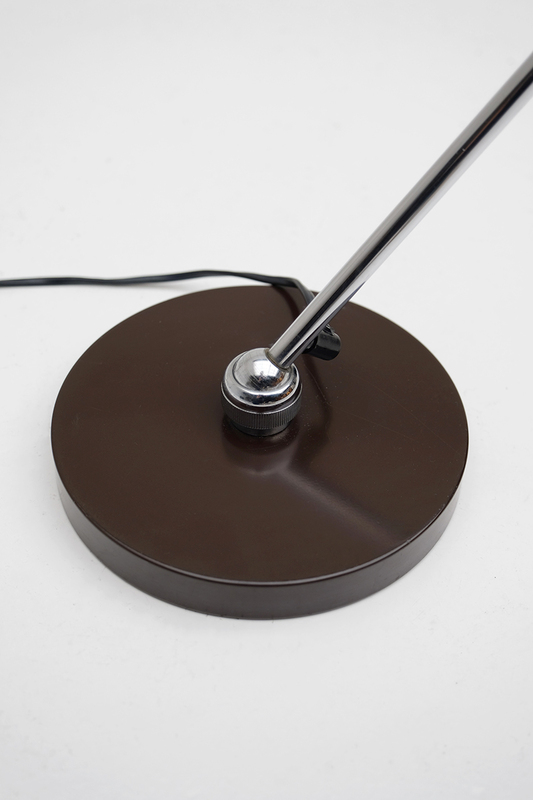 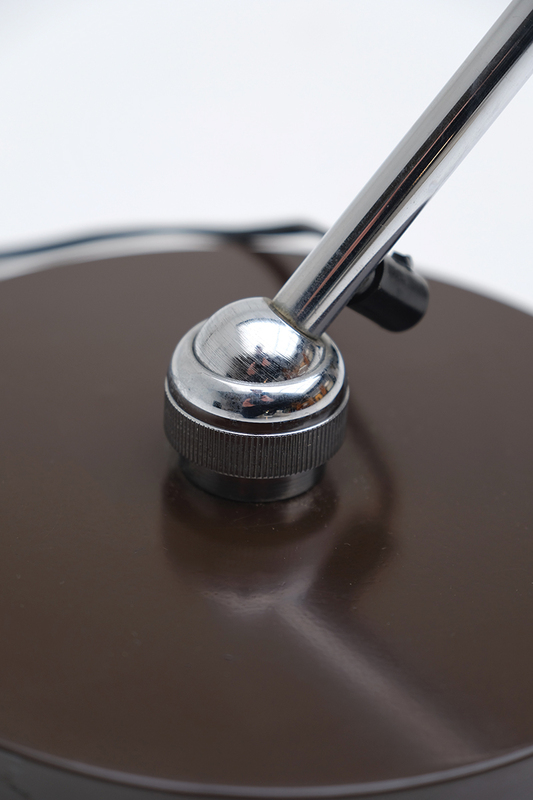 The pivoting lamp can be moved to all directions due to the ball in socket joint on the floor plate. 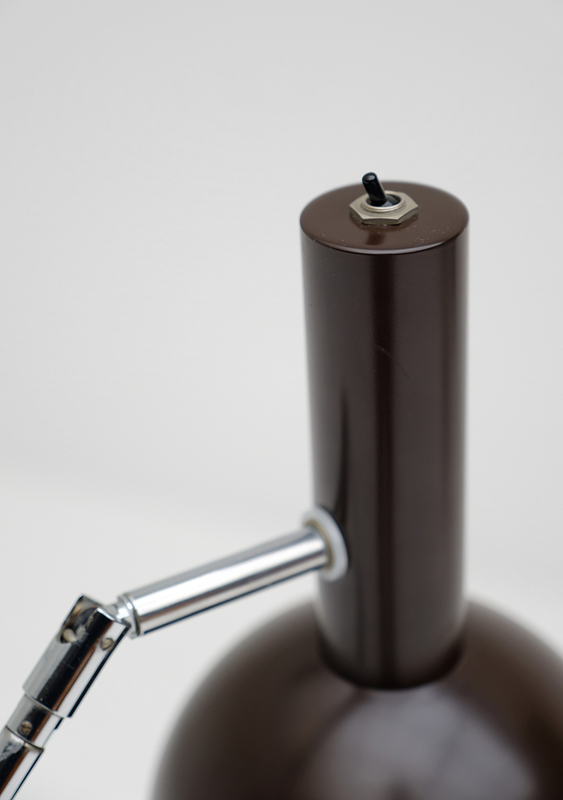 The top hood can be moved around, as well as up and down. 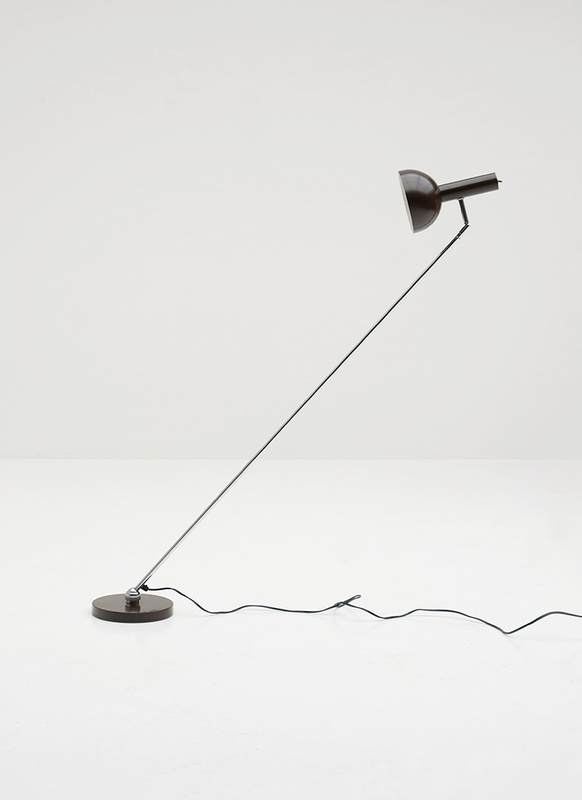 This lamp contains in excellent condition.